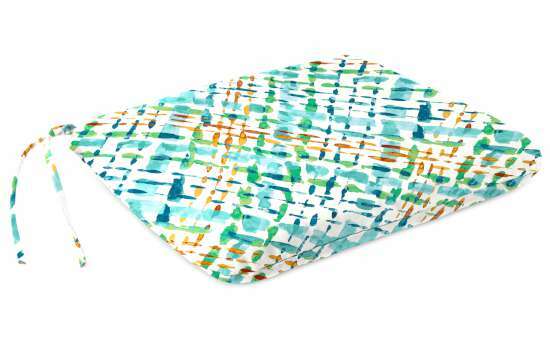 Boxed Edge Tufted Floor Cushion. Size: 20" x 20" x 4". Available in 26 Colors/Patterns. Classic Wicker Settee Cushion Size: 44" x 18" x 4". Available in 26 Colors/Patterns. Classic Wicker Chair Cushion Size: 18" x 18" x 4". 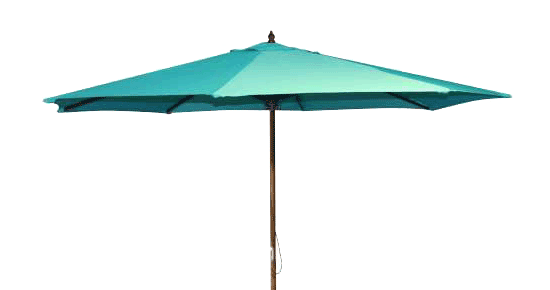 Available in 26 Colors/Patterns. 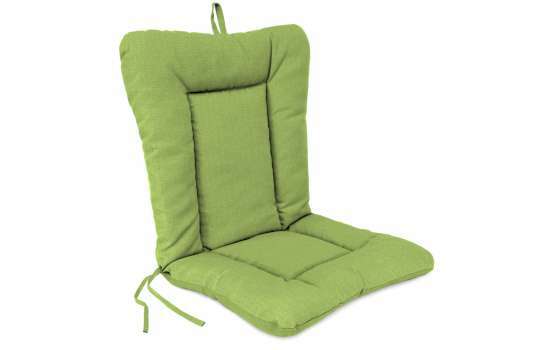 Luxurious 2-Piece Deep Seat Chair Cushion with 6 inch thick padding. Available in 26 fabrics. 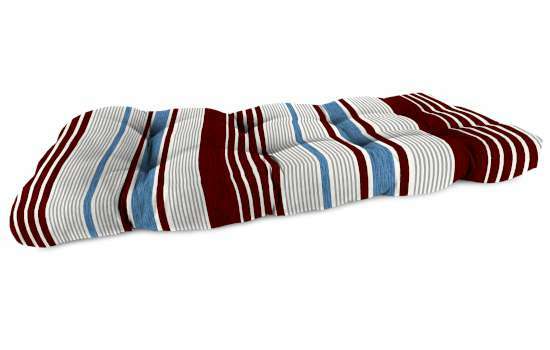 Universal Head Rest Pillow Size: 15" x 9" x 4". 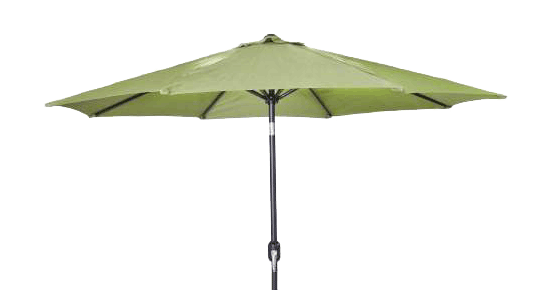 Available in 26 Colors/Patterns. 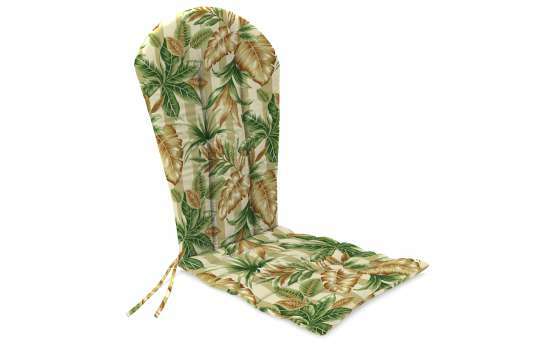 Classic Adirondack Chair Cushion Size: 19" x 51.5" x 2". Available in 26 Colors/Patterns. 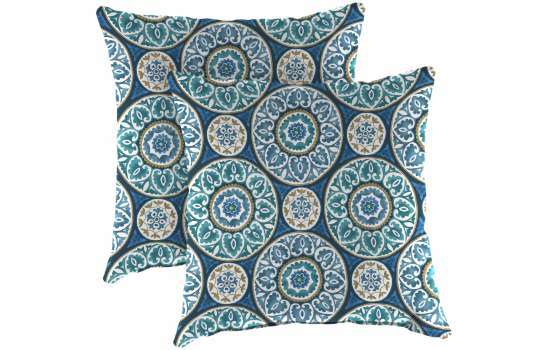 French Edge Chair Cushion Size: 21" x 43" x 3.5". Available in 26 Fabrics. 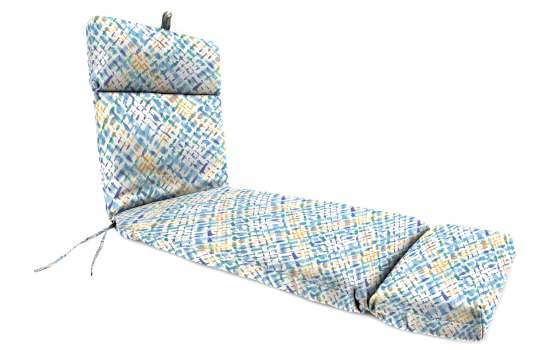 Bench, Settee, & Glider Cushion Size: 48" x 18" x 3.5". Available in 26 Colors/Patterns. 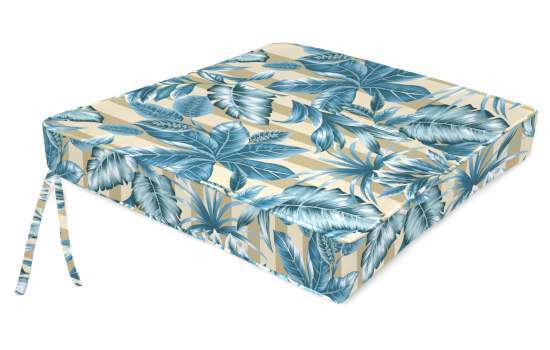 Universal Outdoor Seat Cushion Size: 18" x 20" x 3". Available in 26 Colors/Patterns. 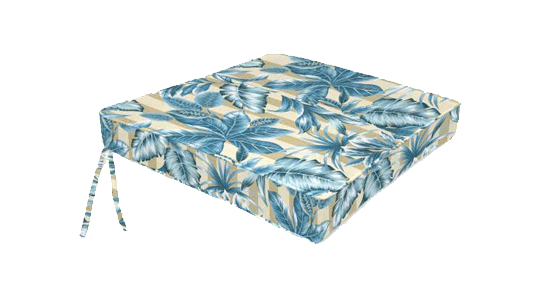 Boxed Edge Outdoor Seat Pad Size: 21" x 21" x 3.5". Available in 26 Colors/Patterns. 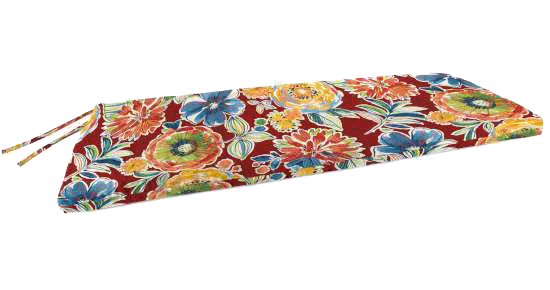 French Edge Chaise Cushion Size: 72" x 22" x 4". Available in 26 Fabrics. Knife Edge Euro Style Chair Cushion. Size: 21" x 38" x 3.5". Available in 26 Fabrics. 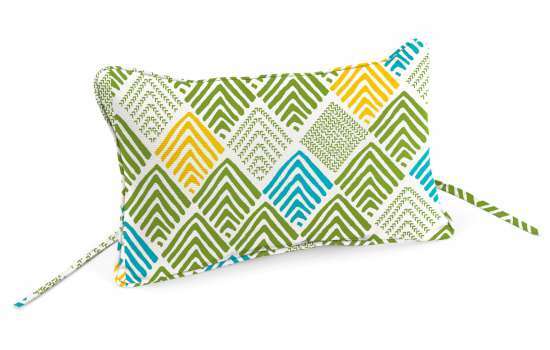 Square Toss Pillows - Set of Two. Size: 16"x16" or 20"x20". Available in 26 Colors/Patterns. 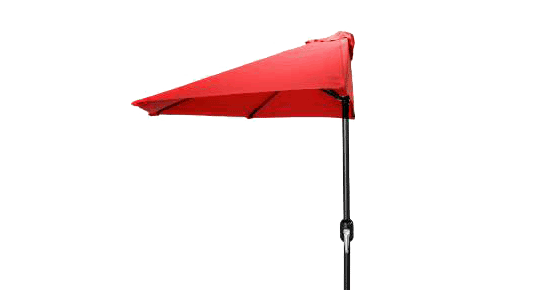 National Patio Covers is known for the quality and affordability of its outdoor patio covers and cushions. 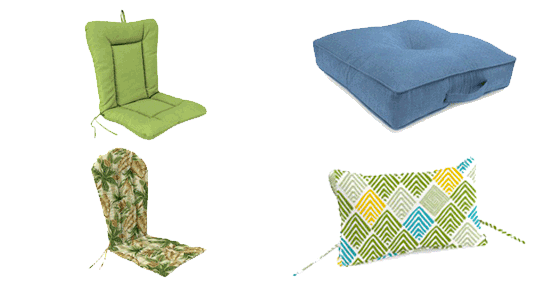 We offer a large selection of outdoor cushions by Jordan Manufacturing, made in North America. Choose from 26 dynamic colors and patterns, from solids and stripes to Tommy Bahama-inspired patterns at a fraction of the price. 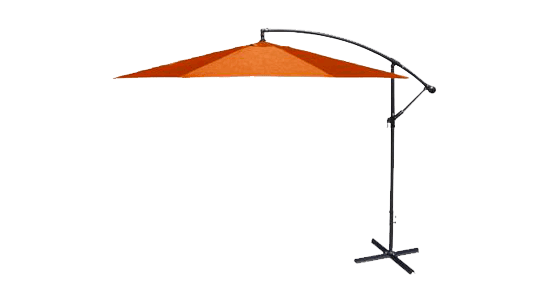 Elegance and durability are paramount at National Patio Covers, whether the look is understated classic, contemporary, nautical, or playful. 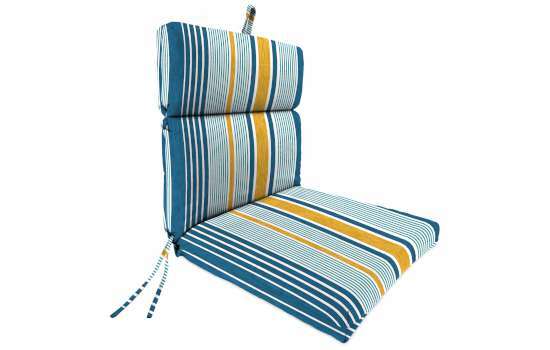 Our outdoor cushions come with different style edging and fill for that customized style and feel you are looking for. This type of edging has more of a rounded corner. Top and bottom layers of fabrics are sewn together for a tapered, clean edge. This edge has a box like look without welts or piping. 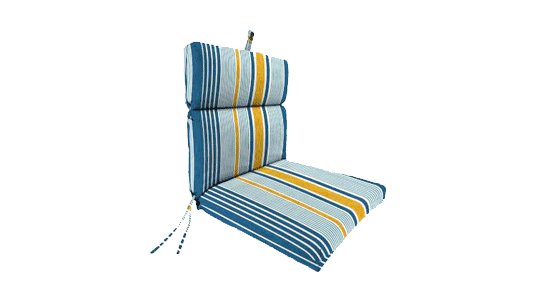 The corners of the cushions are precisely sewn to achieve the clean appearance. 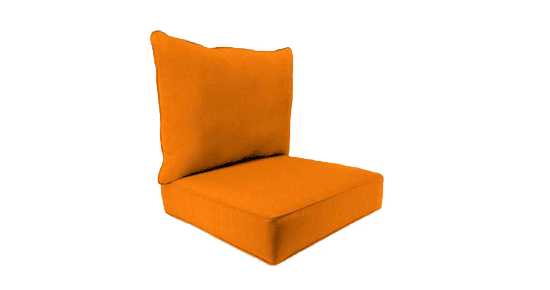 Foam filling gives the cushions rigidity for long-lasting support. 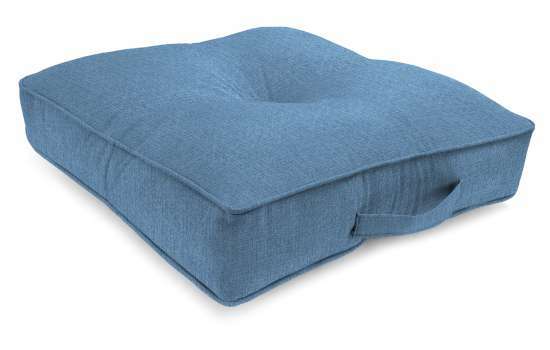 The foam also helps the cushion retain its shape. 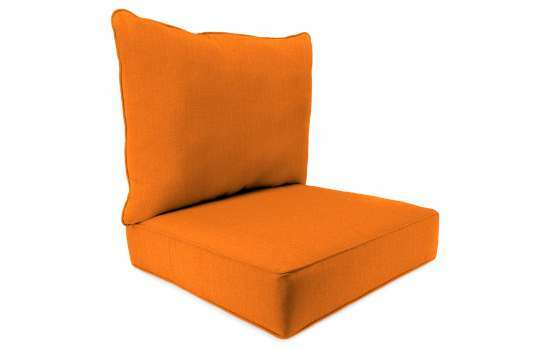 Foam is often used for our outdoor pouf cushions. This type of filling is produced in different thicknesses and densities. 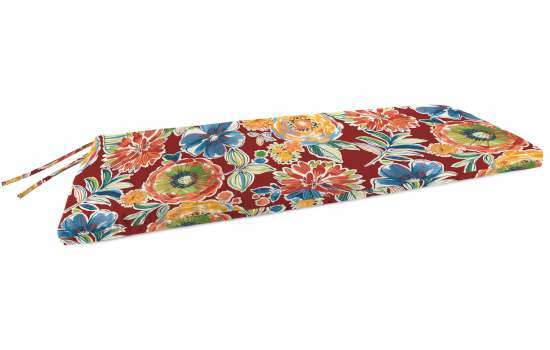 This gives the cushion a more tailored appearance. This fiber has the appearance of cotton, but has a much slicker feel to it. A cushion filled with blown fiber, achieves a pillow like feel and appearance for cushions such as wicker seat pads and toss pillows. Fabrics may be spot cleaned by sponging briskly with a mild soap such as Ivory liquid solution in lukewarm water. 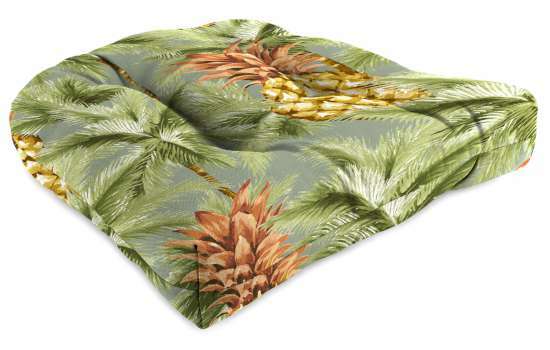 Sponge fabric thoroughly with clean water to remove soap and allow to air dry. 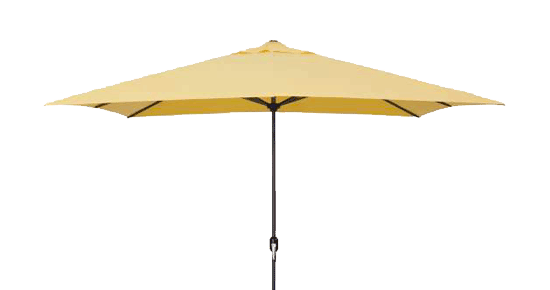 Avoid contact with insect repellents and suntan lotions. Our knowledgeable customer service staff is always ready to answer any questions to help you select the perfect outdoor patio cushion. Call us anytime at 800-616-0599.